Best deal in Capital District - Meadowbrook - Most prestigious neighborhood, 2 Acre Private Treed home site. 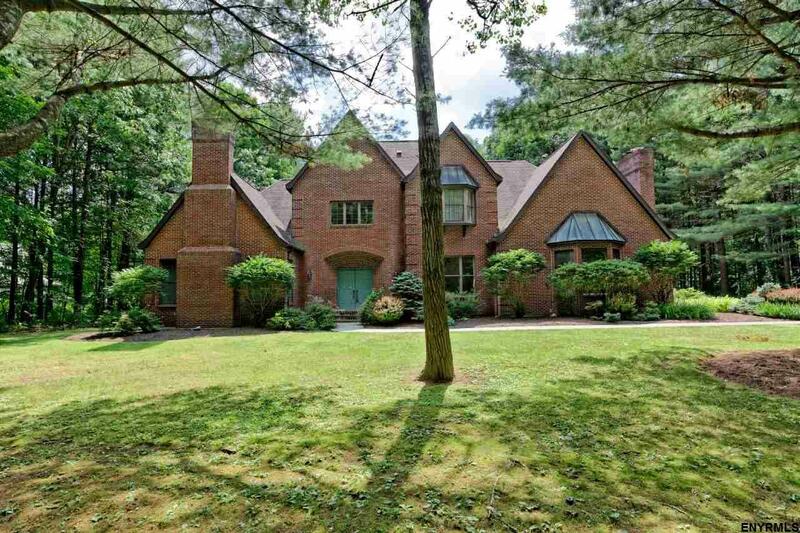 Spectacular enormous 1st floor master suite w/soaring ceilings & fireplace. Private bedroom (multi-use) and bath located over the garage accessible from back staircase. Hardwood floors, new granite, stainless steel appliances, three fireplaces, finished lower level. Huge three season room overlooking heated in ground pool & private yard. Home needs some updates but fabulous value. Pending Releases.